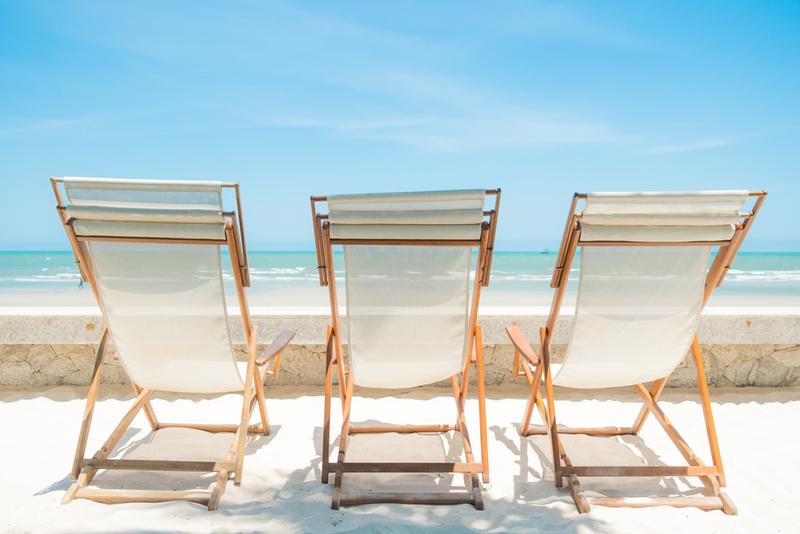 Bare Health Blog: HEALTHY TIPS FOR FUN IN THE SUN! HEALTHY TIPS FOR FUN IN THE SUN! 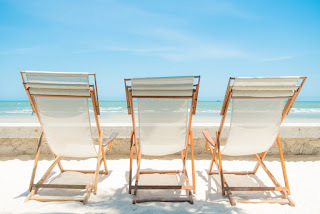 The Summer months have arrived and that means for many of us it’s holiday time, a chance to escape, wind down and set aside the stresses of day to day life. A time when we become more active, focusing on increasing fitness, toning up and setting the intention to shift those few extra pounds we gained over the winter. This is the season when we want to feel good in that new bikini. It’s a time when we become more health conscious. And whether or not you choose to holiday in the UK or Travel Abroad, keeping in good health is vital if we want to avoid those holiday ailments and the pre holiday stresses! 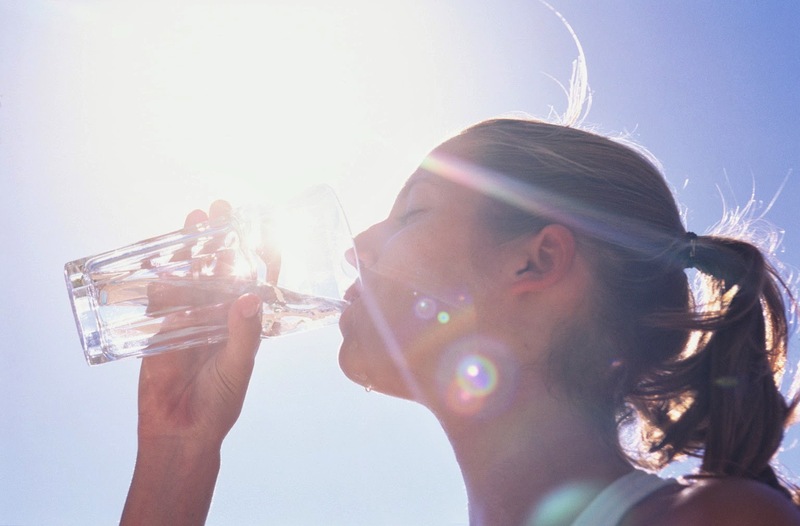 As the days become warmer and our activity levels rise, keeping adequately hydrated is vital. It is recommended that we drink at least 1.5L of water daily. The more we perspire in hot weather, the more fluid we lose and so the more water we need to put back in. Alcohol intake is an important factor to take into consideration too. Although those cocktails at a friend’s garden party may be delicious, use good judgement – alcohol strips the body of important electrolytes and hydrating qualities – so a good tip is to have a few glasses of water in between drinks – keeping alcoholic beverages to a minimum. 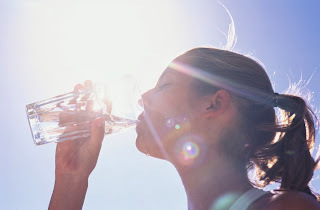 The added bonus of drinking more water – it moisturises the skin leaving it softer and your hair shinier, whilst your body is able to perform better during physical activity. According to Chinese Medicine, just as our bodies are designed to respond to changes in light and dark, so do our tastes and appetites respond to seasonal shifts in climate & temperature. During hotter weather we naturally crave refreshing food such as healthy green salads, melon, strawberries & oranges. “Light & Cooling” are key words to remember when choosing health boosting summer foods. These foods will help cool you down and are easy to digest: Cucumber, water melon, mango, grapes and strawberries. Bitter greens and vegetables help strengthen the heart & intestine and also help clear heat from the body. Green Vegetables are also very cleansing. Try to include asparagus, chicory, watercress, Bitter endive, radicchio, dandelion, spinach, cabbage, artichoke, Pea sprouts and green beans. Seasonal fruits abundant in health boosting vitamins are also worth adding to your shopping basket – look out for cherries, apples, peaches, apricots and wild berries such as blueberries, blackberries & raspberries. So, yes we need to spend at least 15 minutes a day exposed to direct sunlight, but not long enough to risk damaging the skin. Our skin is our largest organ and so should be treated with care. There are a number of organic & natural sun creams now available (in good health shops) which offer good protection, yet are free of harmful chemical ingredients .Vitamin D supplements can also make up for any shortfall we can’t get from the sun. 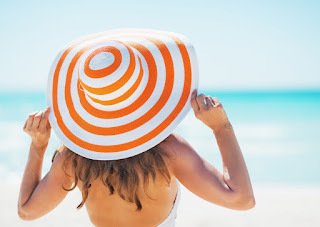 Certain health supplements have also shown to have a protective role during sun exposure, ‘Astaxanthin’ is one of them, a carotenoid that may help to protect the skin from UV damage. In addition, ‘Pycnogenol’ (French Maritime Pine Bark) helps improve skin elasticity and smoothing during the ageing process as well as protecting the skin from the harmful effects of the sun. 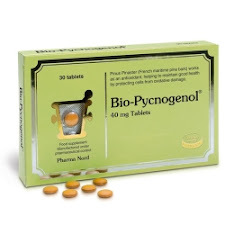 Pycnogenol has also been shown to aid the circulatory system and may be particularly beneficial in minimising the risk of developing blood clots on long haul flights. And if you over do the sun bathing, then, the healing properties of the Aloe Vera plant must not be overlooked. Aloe Vera gel is fantastic for helping to soothe and cool sunburn, whilst helping to heal & moisturise damaged skin. An absolute holiday essential! The homeopathic remedy Cantharis can also help ease sunburn. It can be all too easy when we go away to get just a little more sun than we bargained for and if you are unlucky enough to get a dose of sunstroke then the homeopathic remedy Belladonna is good to have at hand. A tincture made from Stinging nettles (urtica) is also a remedy that has been traditionally used for easing itchy skin conditions and as a natural antihistamine. It has particular value in easing the symptoms of Prickly Heat. Holidays can be fun but also sometimes full of new and unusual activities that the day after can leave you waking stiff, aching and unable to walk. Help is at hand with a few doses of the homeopathic remedy, Arnica 30c. Arnica is good for soothing bruises and easing tired and painful muscles after strenuous activity allowing you to enjoy the rest of your holiday. It is great for jetlag too. 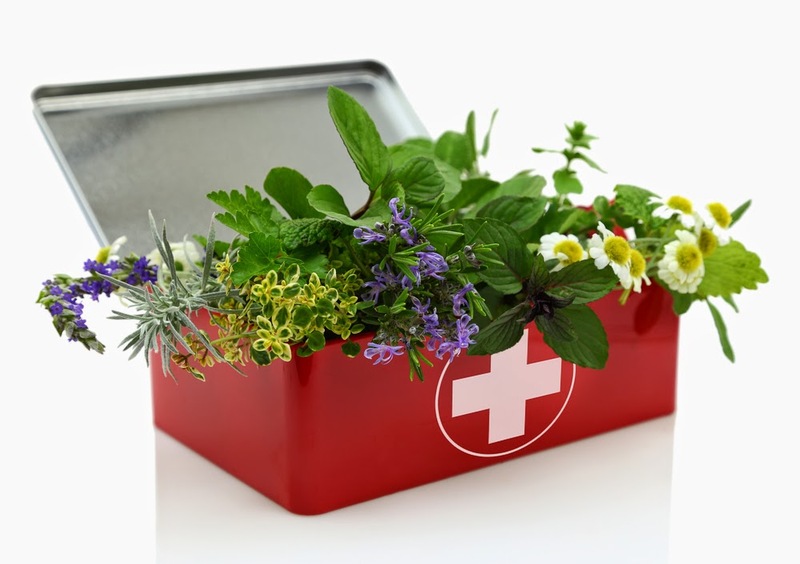 When travelling abroad it is often a good idea to pack a few remedies that you can have at hand should you get a dose of Travellers Tummy or other digestive problems. 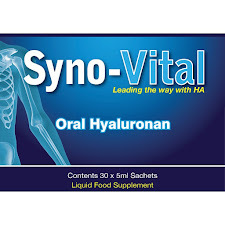 A good quality probiotic containing a good mix of beneficial bacteria is highly recommended, as is a digestive enzyme supplement that will help your digestive system to efficiently break down foods that your body may struggle to cope with. And should you pick up any nasty bugs or intestinal parasites whilst on your travels, then the herbs Pau d’arco and ‘Neem’ are particularly useful. And talking of bugs, to keep those midges & mosquitos at arms length a few drops of citronella oil onto a few cotton wool pads placed around the holiday apartment can be a great help or a mosquito spray containing the herb ‘neem’ may help protect you from those nasty bites! Finally for those of you who have a fear of flying – a dose of the Bach Flower Remedy ‘Mimulus’ or ‘Rescue Remedy’ is a handy option to have in your hand luggage & may just help ease those unwanted fears, leaving you with nothing to worry about other than your awaiting holiday destination, long summer days and warm nights, spending time in the outdoors engaging in your favourite pursuits & time to chill out with family & friends. What could be better? It’s truly time to leave the cold weather behind. The content within this article is for information purposes only. If you are taking prescribed medication or undergoing any form of treatment please consult your GP before making any changes to your healthcare regime. For more information or to chat to one of our advisors, please call Bare Health on 01260 408413.